Fresh Air and Sleep Disorders - A simple, free solution to your sleepless nights for caregivers and elderly home health patients. Fresh air and sleep disorders seem to be both limited and plentiful for both caregivers and patients. Patients are often sick and confined to bed or the indoors. Caregivers are often burned out and have limited time to step outside and breath. Many smoke to combat emotional pain and satisfy the craving - limiting the body of even more life giving, energy producing, fat burning, pain reducing oxygen. The vicious cycle continues and seems endless - leading to many sleepless nights for both caregivers and patients alike. When will we see that fresh air and sleep disorders are related? Sleep apnea CPAP machines are issued, sleeping pills are prescribed (and don't allow the REM sleep needed for deep healing), but no one seems to have the time to help this sleep deprived group to deal with the root problems in a way that is both cost effective and effective. Fresh air and sleep disorders must go hand in hand and could be part of your ticket to a great nights' sleep! According to the National Center on Sleep Disorders Research, about 30 to 40% of adults experience insomnia in a given year and 10-15% of these are chronic or severe. So, how does fresh air help sleep disorders? Fresh, clean air produces an almost tranquilizing affect on the body and relaxes the mind getting it out of the fast lane. Before retiring for the night, step outside or move close to a window and take 15-20 slow, deep breaths. Then, be sure there is moving, clean air from an open window in your room or a room close by when you sleep at night. Not too hot and not too cold. 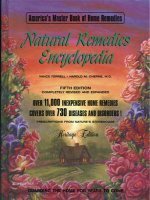 Fresh air and sleep disorders may very well begin to catch on as a natural remedy. Without this free flowing air in your room at night, many wake up feeling exhausted and unfit, feverish and tired. Almost proof that lack of fresh air and sleep disorders are are first cousins. The system needed the vital fuel of oxygen to rebuild while you were resting but it could not have it. 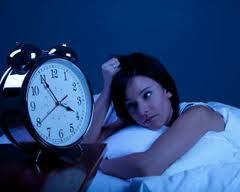 Using fresh air for sleep disorders will also allow the removal of many impurities. Take advantage of it...open a window today! Deep breaths in the morning will expand your lungs and give your body a jump start (better than coffee!) to the day. Breath in the fresh oxygen often throughout the day. 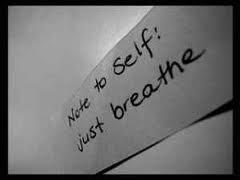 Take a few seconds every hour and sit/stand tall, breathing deeply from the very bottom of your lungs. Your body will thank you. It's been said that one hour of sleep before midnight is worth two after midnight. Fifteen minutes of rest midday is worth 45 minutes or more at night, and each hour before midnight is worth two! If the above is not possible, take an hour of rest midday when you retire. Stay active the rest of the day...this will help with weight loss and increased lifespan. Rest and work, work and rest but slacking on either one will cause the other to be less enjoyed. Many retirees die within 3 years of retiring. Start now to help and serve others so that your purpose in life is not lost. This will help you to rest well and maintain a healthy weight. Enough rest is needed to keep the alkalinity of the blood in check as most of the elimination of waste occurs when we are sleeping. Many who lose their jobs put on weight over the stress that then causes sleepless nights. This cycle creates a challenge to weight loss. We were designed to need one day a week to rest. This gives us time to spend with family and God. We'll send you a free booklet on REST when you purchase our 6.5 pound number one best seller! If your health is falling apart due to a lack of sleep, start immediately to follow the steps listed above. Get connected with others who can help your broken heart and chaotic life. Patients will notice, see and feel almost immediate improvements in their health and ability; depression can begin to lift and vitality return. Don't delay! Boomers, youngsters and everyone in between, let's begin taking our health back, one fresh air filled night at a time. Some information on this page taken from this trusted resource. 4 Essential Types of Rest!